Yes, I missed a few. And it’s no longer April (in fact, it’s no longer May either)! So I have lived in Colorado Springs for just under a year now and the over 14,000 foot Pike’s Peak has been looming over me almost every day, watching my every move. 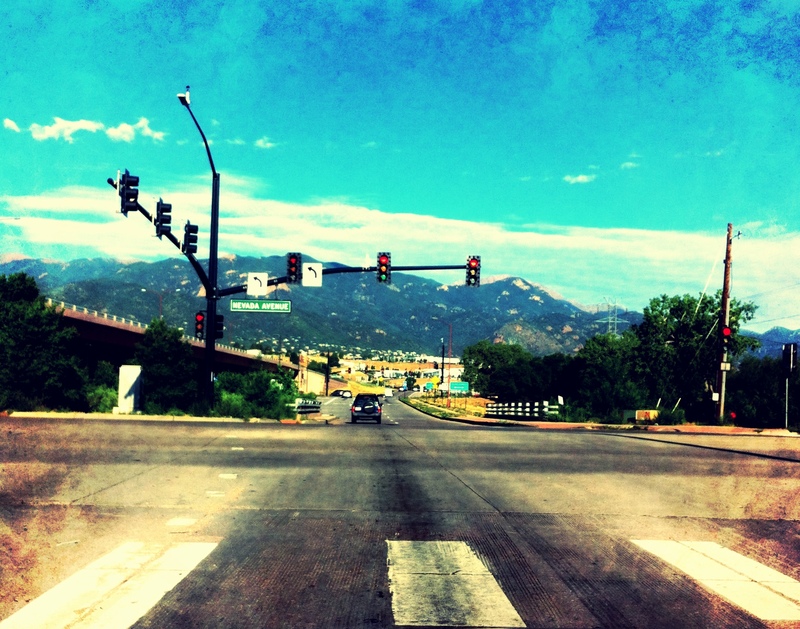 The mountain is to the left of me as I drive to work and to the right of me when I drive home. It is standing there directly across from me as I walk out of my westward facing front door. The only time I don’t see the peak is when the weather systems roll in and the entire mountain range is engulfed in clouds. Even at night I can see the light flickering from the top of the mountain. 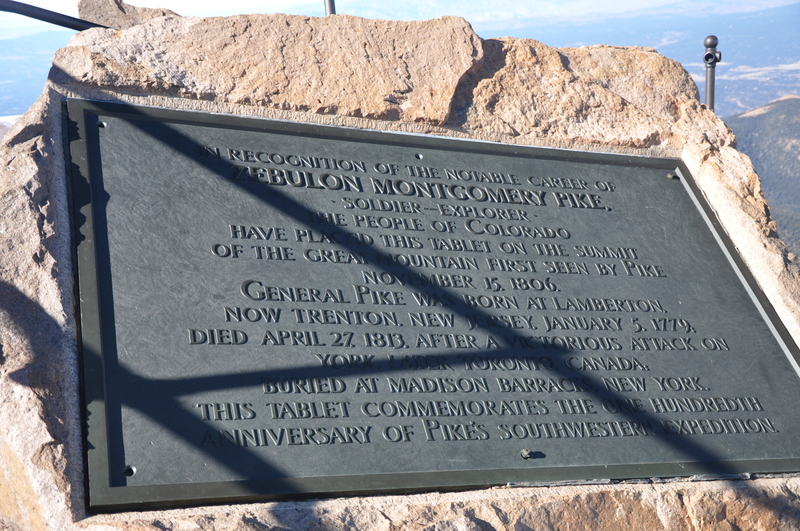 Pike’s Peak was named after Bridagier-General Zebulon (if anyone knows the origin of that name, please let me know) Montgomery Pike who “discovered” the mountain on an expedition to find the headwaters of the Red River. Ironically to me (the Canadian in Colorado), Brig.-Gen Pike died in battle during the war of 1812 in York (now Toronto – so sorry about that Americans, I’m glad we’re friends now). 1. The world’s highest Cog Train: For $36 a head, you can ride the train to the summit of the mountain. 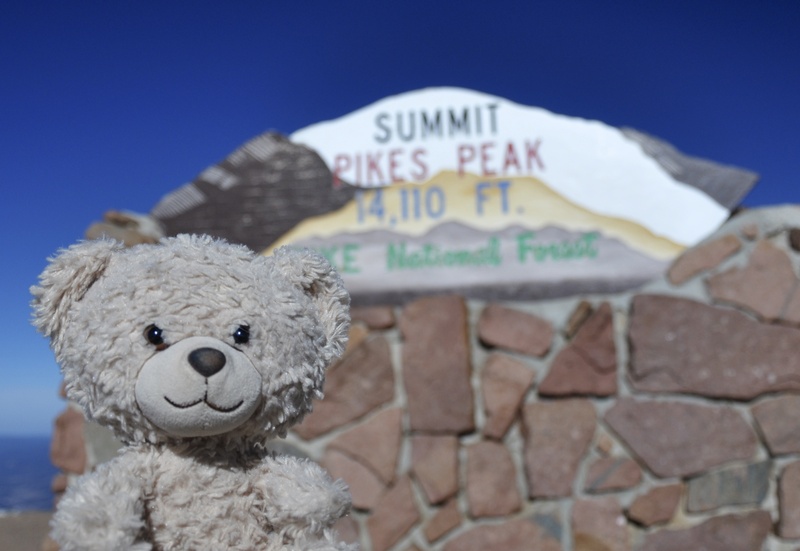 It lets you off for about 30-40 minutes while you scramble to take #summitselfies and try the freshly baked altitude donuts, before taking you back down to the bottom. Total trip time: 3.5 hours. 2. 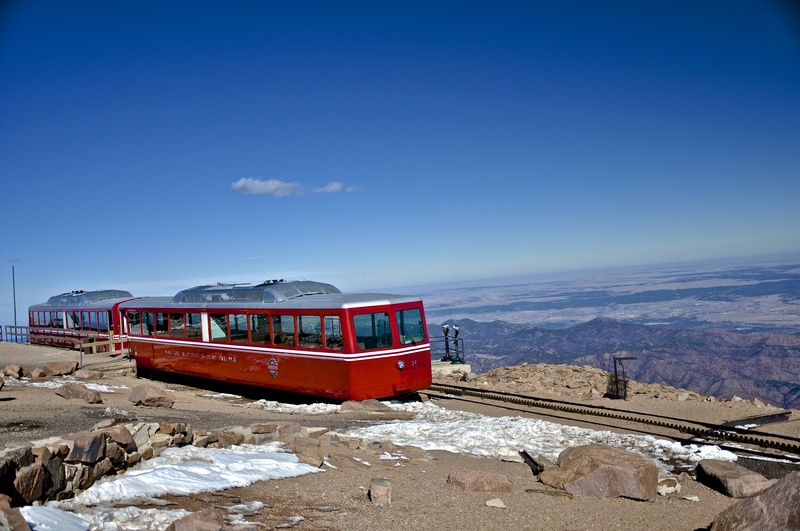 Drive the Pike’s Peak Highway: Pay between $10-$12 at the tollgate (hint $2 off coupon) and drive all the way to the top! Not for the faint hearted though – although the train probably isn’t either! There aren’t any guardrails, and the right just simply drops off the side of the mountain. My husband was like, “Jenny, you can get a little closer to the right. You have lots of room. You don’t have to crowd the line,” to which I retorted, “No, I’m good. Thanks for the advice but I’ll just keep driving up the centre of the road.” Also, word of advice, if you don’t have hill assist on your car/truck, don’t ride the brakes on the way down or you’ll have to stop halfway to let them cool off. Not good for your car, and you really don’t want to lose that thing that will stop you if you need to! Loki is the Queen of the World! Lil Guy made it to the top! Someone looks a little pooped! 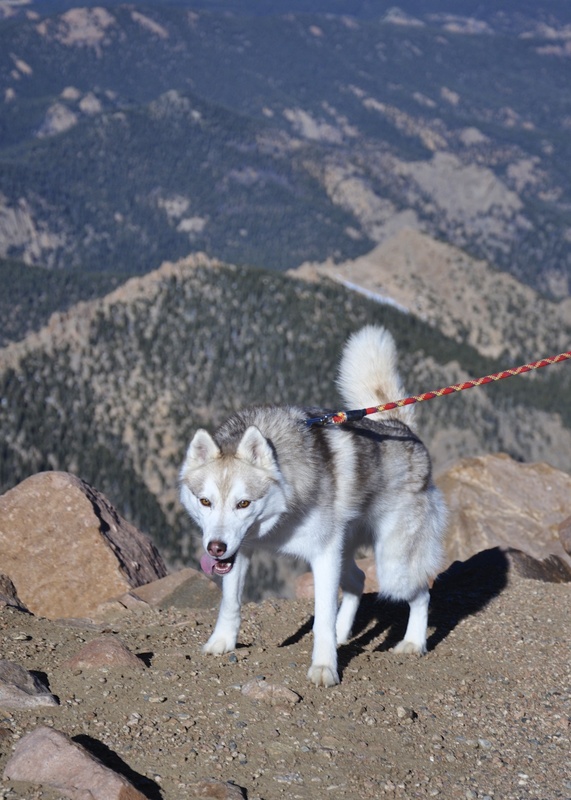 The Pike’s Peak International Hill Climb: every year in June, racers of all shapes and sizes test their skills and fear of heights to race to the top of Pike’s Peak. I wanted to go and watch in person, but once you’re up there you can’t get down until after the race is over. Haven’t decided yet. 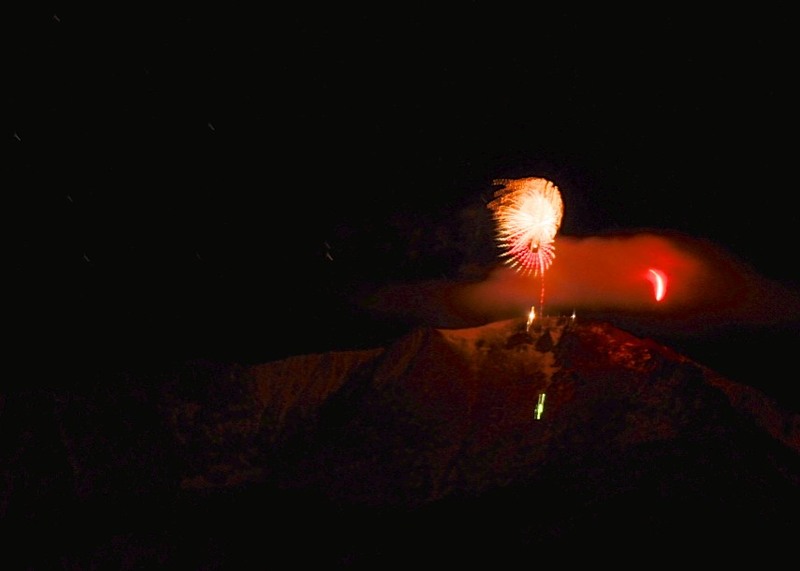 The AdAMan Climb: Every year, a select group of climbers ascend Pike’s Peak on December 31st (actually I think they start on the 30th) along Barr Trail and pop off Fireworks at midnight to ring in the new year. Here’s the view from Garden of the Gods with my first-time attempt at using a tripod in pitch black and no professional skillz to try and get a photo of this cool phenomenon. 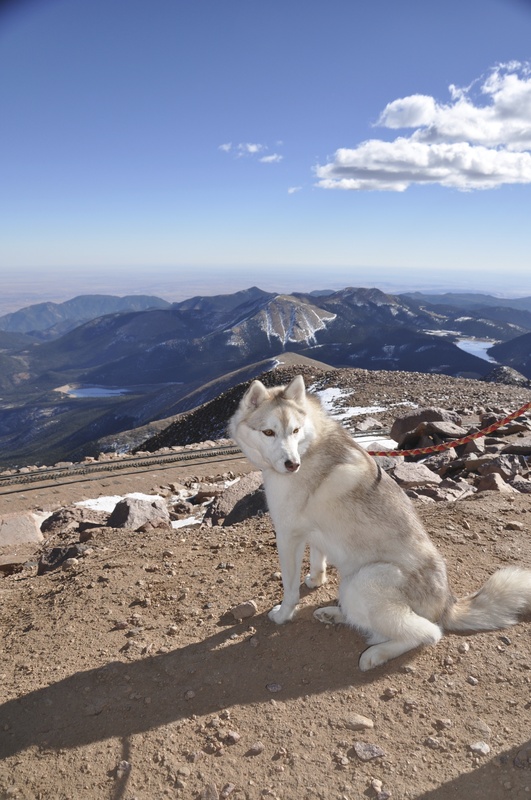 11,000+ feet of pure firepower! ← Team River Runner Colorado takes on the mighty Arkansas River!